The Constitutional Chamber of the Supreme Court, or Sala IV, on Wednesday admitted a citizen’s complaint over whether the appointment of Lutheran bishop Melvin Jiménez Marín as presidency minister is constitutional. Justices gave President Luis Guillermo Solís 15 days to formally respond. Attorney Álvaro Orozco Carballo filed the appeal on June 11. 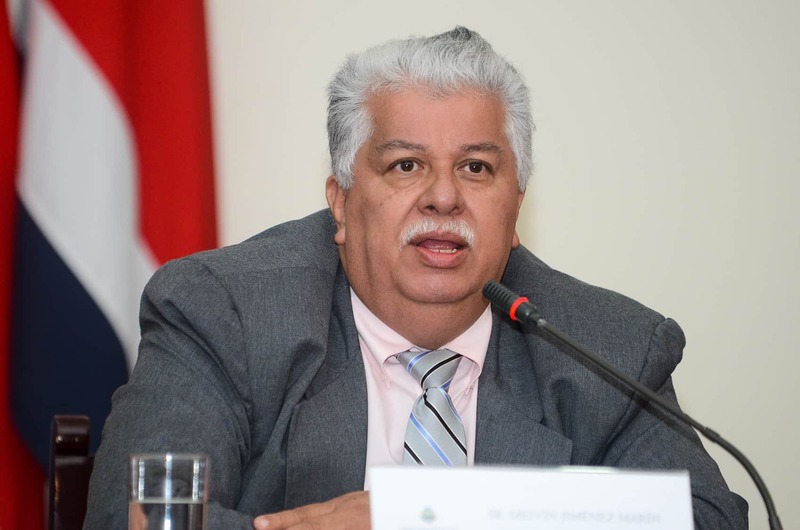 According to Orozco, Jiménez’s appointment violates Article 142 of Costa Rica’s Constitution. Paragraph 3 of that article states that all government ministers must be “members of the secular state,” which the complaint interprets to mean that government ministers cannot be active members of religious organizations. Justices, however, rejected Orozco’s request to suspend Jiménez from office pending a final ruling. At the start of his administration in May, Solís argued that Jiménez could be appointed minister because he belongs to the Lutheran Church. Solís said the constitutional rule only prevents Catholic clergy from serving on the presidential Cabinet. The Catholic Church responded by saying Solís’ statements were discriminatory. Orozco, a practicing Catholic, argued in his complaint to the court that the term “secular” refers to members of all religions. This is the second time Orozco has demanded Jiménez’s appointment be annulled and his credentials as a public official withdrawn. In late April, he filed a similar complaint to the same court, but justices suggested he revise and resubmit the complaint using a different constitutional argument. On Wednesday, President Solís declined to comment on the issue, saying he had not officially been notified of the Sala IV’s decision to admit the complaint. The Attorney General’s Office and the Presidency Ministry likely will receive the notification from the Constitutional Chamber on Thursday.